Meet Rosie “Guns” Kowalski, the hardest working person you will find at any construction site. Rosie comes with several build options; a pneumatic hammer, a nail gun or a really, really long pry bar. And… you can never quite be sure what else she carries in that tool belt. Sculpted by C. Bradford Gorby, Rosie is the latest 28mm addition to the CB’s Imaginings line of miniatures available only at Left Hand Miniatures. 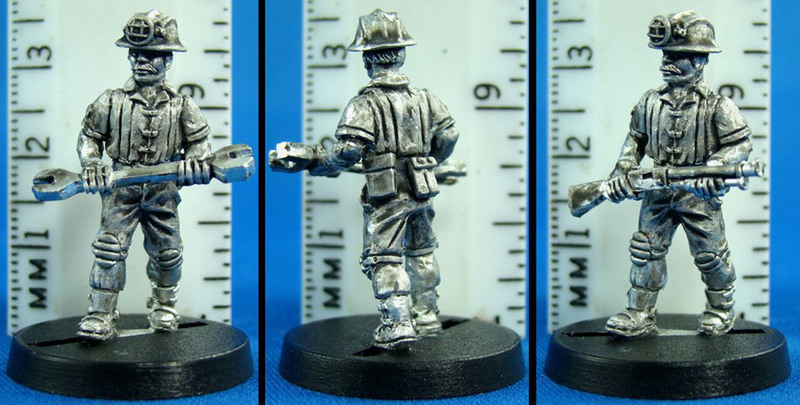 Thanks to everyone who entered Left Hand Miniatures “Name our January Releases” Contest. Each person whose submitted name was selected received a copy of all the figures shipped free. The winning entries came in from four different countries. So who were these brilliant individuals? 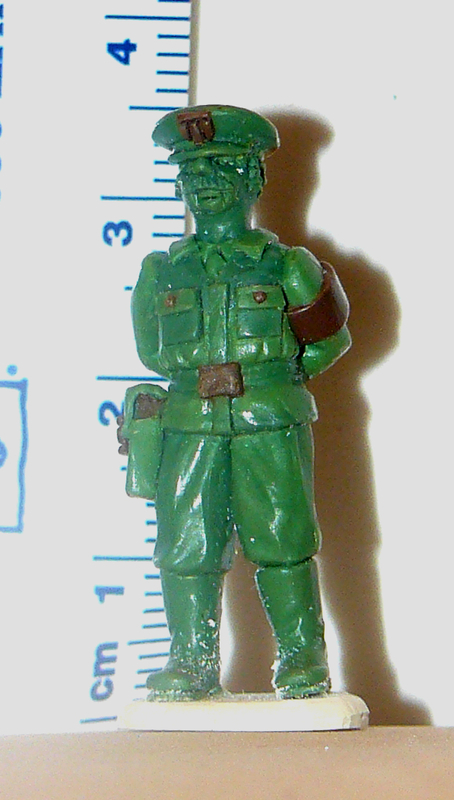 A – “Holly Go Heavily Armed” – Named by Hugh Walter from Fleet in the UK. B – “Deadeye Davina” – Named by John D Salt from Swindon in the UK. 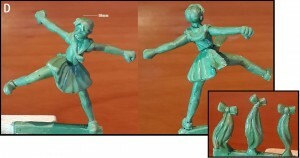 C – “Empress Leonesse” – Named by Joakim “The Miniatures Man” Ström from Hägersten in Sweden. C – “Sanura” the lion – Named by JJ Parus from Virginia Beach in the US. D – “Haleloke” – Named by Harry Kruger from Las Vegas Sin City in the US. E – “Uma Caulder” – Named by Gary Richards from Gergal in Spain. USPS does it again. New January 2016 Shipping increase. 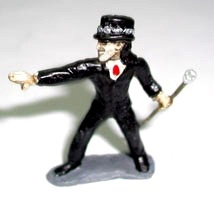 The reason that these increases are so dramatic is they have done away with the 10% discount business rate Left Hand Miniatures has gotten in the past and are now charging us the retail price. What we have decided to do is continue to offer you the 10% discount we no longer get on all orders over $13.00USD. We may also ship First Class Mail if the cost is less that Priority Mail Flat Rate. If we do ship at a rate less than what you have pre-paid, we will refund the difference to you. Shipping a 4ox (114g) package to Europe was $9.18 and a 5oz (141g) package to Europe was $12.33 USD, now up to 8oz (227g) is $13.50 (+47% to +9.5%). Shipping a 10oz (283g) package to Europe was $14.40 USD and a 16oz (453g) package to Europe was $16.16 USD , now 9-16oz (453g) is $22.50 (+56% to +39%). Again, on all international orders over $13.00USD, we will offer the 10% discount we no longer get. This means shipping on orders to Europe under 9oz will likely run $12.15, and shipping on orders to Europe from 9oz-16oz will likely run $20.25. 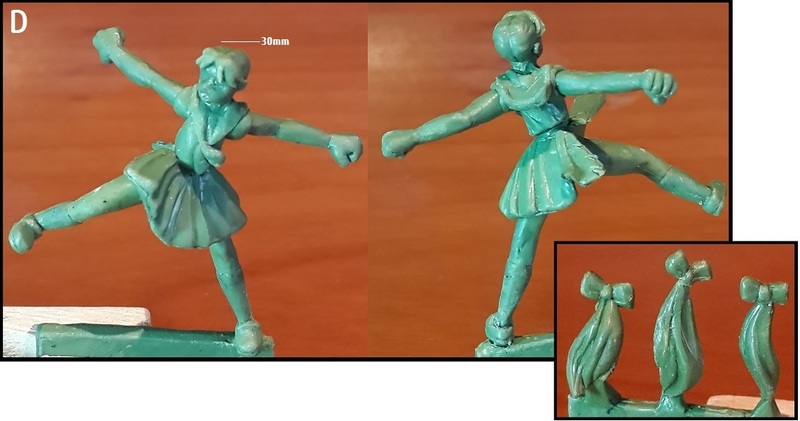 Left Hand Miniatures is starting a new line… CB’s Imaginings! What will be the theme of this new line? We don’t know! 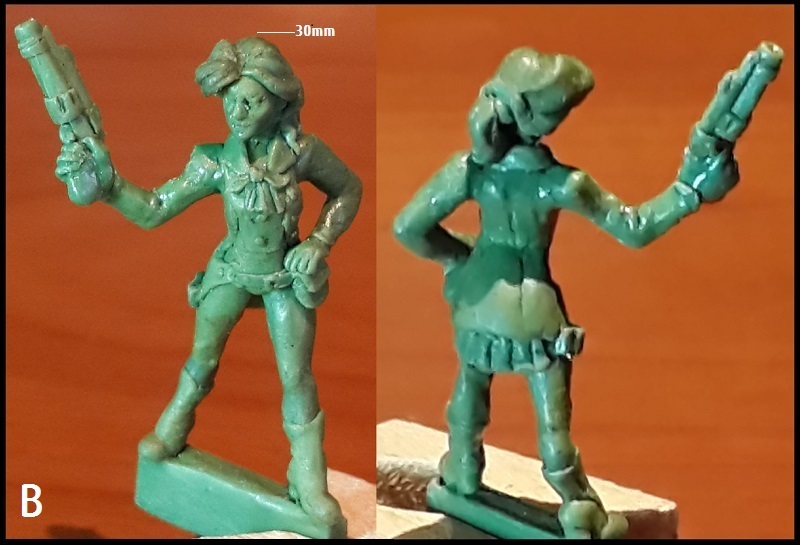 We are at the whim of the sculptor, C. Bradford Gorby, who has sculpted for Ral Partha, AEG Clan Wars, TAG Children of the Nile and other manufacturers. We have no idea what miniatures he will send us next. Therefore, in celebration of the first five miniatures we are releasing in this line, we are having a “Name the Miniatures” contest. The rules are simple: You may enter as many times as you like. Make sure you include the letter of the miniatures you are naming. Names must be family friendly. One name will be chosen for each miniature. The deadline for entries is Midnight EST (UTC-5), January 17, 2016. If multiple people enter the same name, a D20 will be dropped down a dice tower to determine the winner, high roll wins. One winner per household. Each winner receives a copy of all of the figures presented here, shipped free regardless of where they live in the World. The Workforce Heroes are Coming! 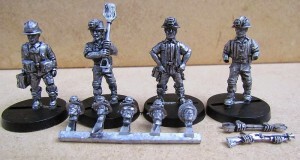 We have acquired the 28mm Workforce Heroes miniatures from Toemerica Games. They were designed by Duane Gilbert and sculpted by Mark Evans. Wearing hardhats and jumpsuits, these figures can easily fit in to Modern, Zombies, Scifi, or Superhero gaming. One figure comes with both a large wrench and a shotgun so you can choose how to arm him. 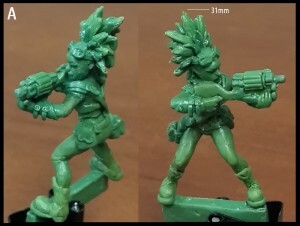 There is also a sprue of five alternate heads for conversions. OUCH! These new shipping costs really HURT! On January 28, 2013, the US Postal Service once again increased the cost to ship packages. At this time we are going to try to get along without increasing our US shipping costs. BUT the cost to ship to other countries has increased dramatically, and we have no choice but to pass those costs along. 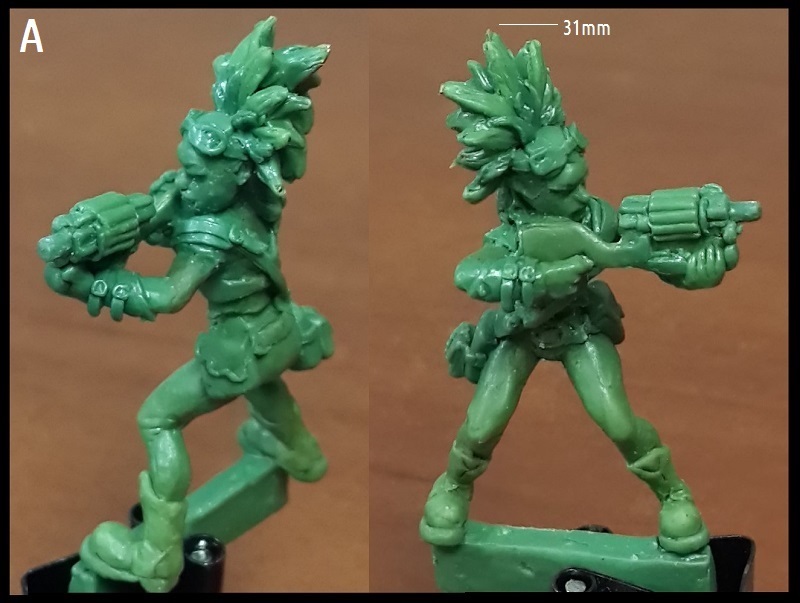 Please note that if possible, Left Hand Miniatures will quote you a discounted price, if it is available to us from the USPS. About 40% of our sales ship overseas, so this latest shipping increase will probably hurt. Hello all, long time no post. After far too long, here are three new greens. Two police officers, one SWAT officer. Kung Fu Family Rules Update! 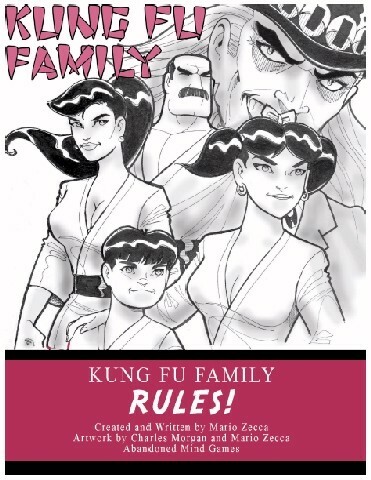 The fully illustrated version of the Kung Fu Family rules is now available! 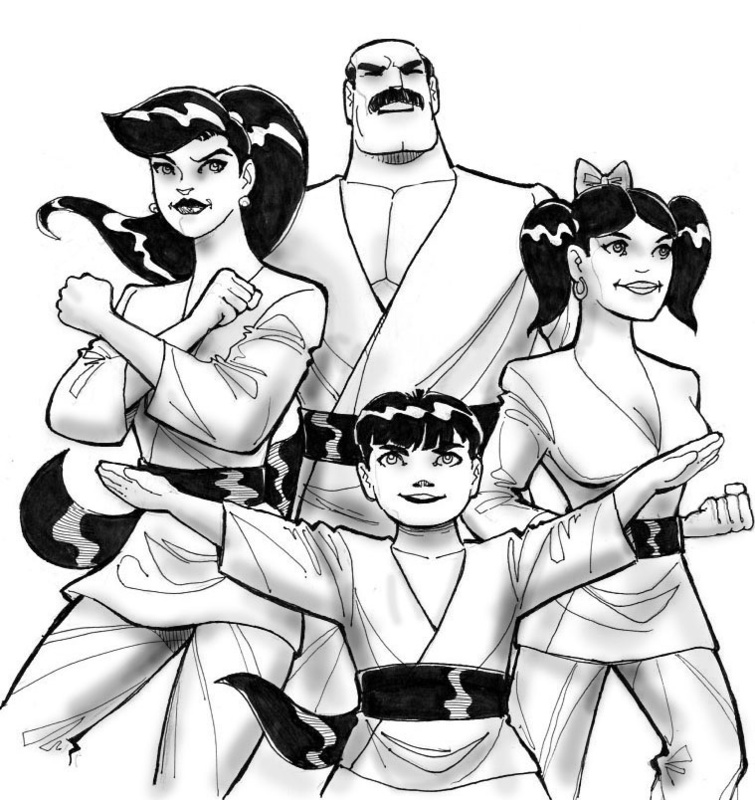 Also included in the purchase price is a 14 page comic about (you guessed it) the famous Kung Fu Family. Both are downloadable right now as a 61MB .zip file. 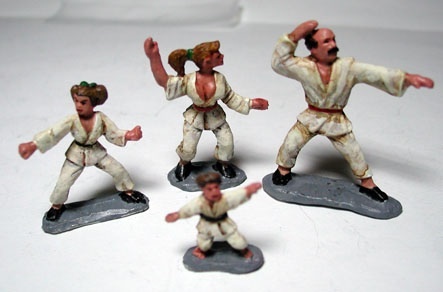 We have our first examples of painted Kung Fu Family miniatures. Kung Fu Family Rules! 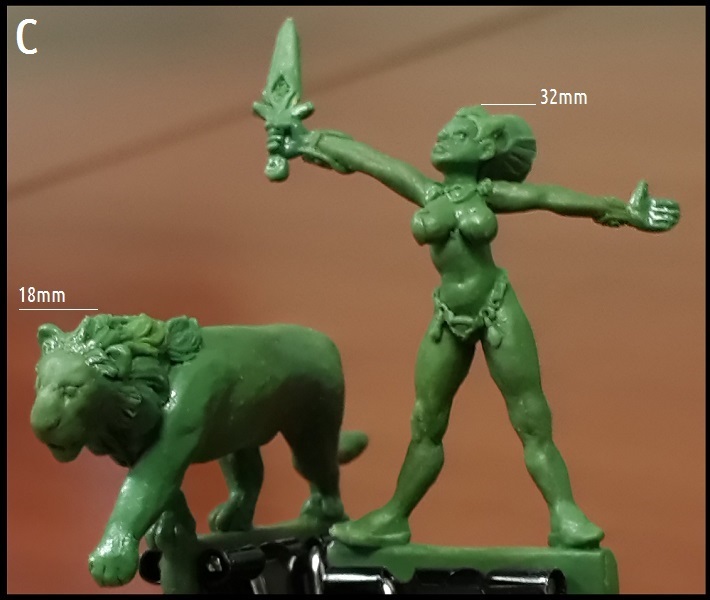 It’s a statement and the name of the rule set for a miniatures game and a new line of Heroic-Sized miniatures compatible with 25-34 mm and plastic click figures. 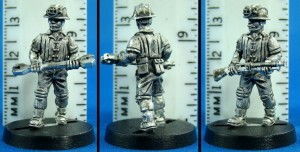 Left Hand Miniatures will be the sole seller of the miniature line and will also provide access to the KFFR! rule book. Kung Fu Family Rules! is a tabletop tactical miniatures game and role-playing game with elements of martial arts, super heroes, modern pulp-like adventure and horror. It can be played as single scenario combat game or in a story telling cinematic way with melee encounters, depending on the tastes of the game manager and players.Kung Fu Family is designed to focus on hand-to-hand, small-group (4-8 combatants on a side) tactical combat, although rules for using missile weapons and firearms are included. Players have the option to use the pre-rolled Kung Fu Family and enemy characters provided in the game or roll up new characters of their own design. 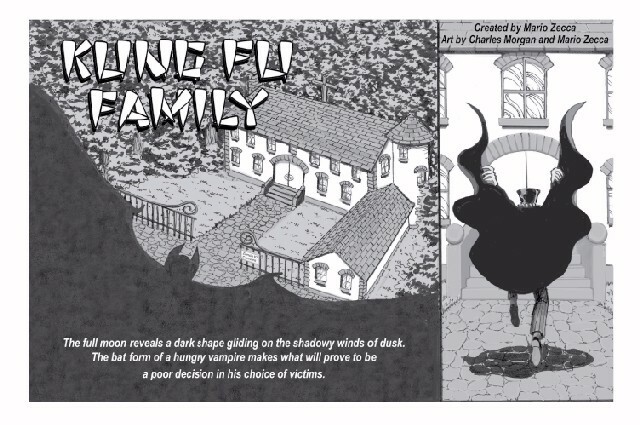 The completed Kung Fu Family Rules!, game mechanics for Kung Fu Family and tactical level or rules-lite RPG miniatures game will be fully illustrated and include a comic book version of the setting.The first 20 customers who buy the full two sets of miniatures, that is and , will receive a free pre-publish text version of the rules. Feed back will be welcome and I will support play-testers as much as time and energy allow.